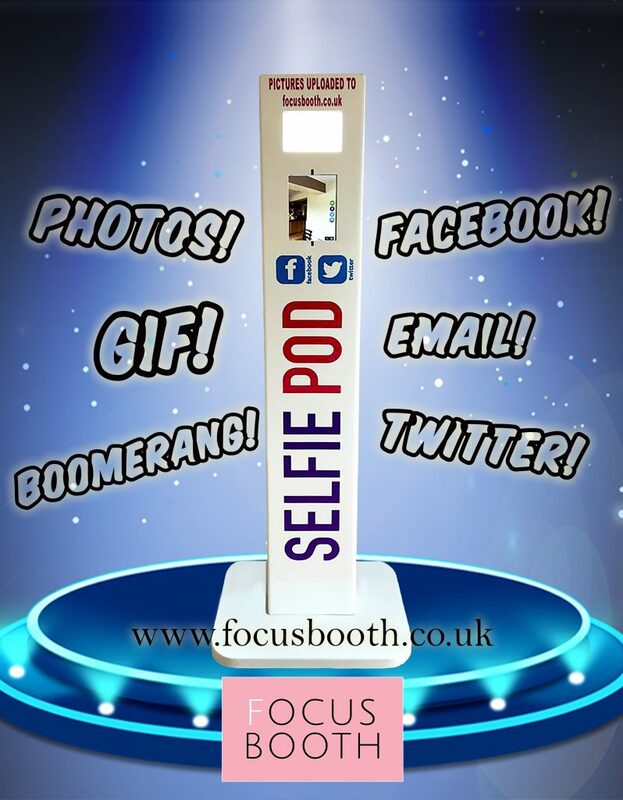 The brilliant selfie GIF booth from Focus Booth is great entertainment and never fails to make guests smile. The concept is simple, when in GIF mode a series of photos are taken then instantly stitched together to make a sequence. In burst mode, often called boomerangs, a two second movie is shot then played back and forth to create the boomerang effect. The GIF selfie station can do prints as an optional upgrade but the real fun is in the instant gratification of seeing the results on screen immediately. The GIF selfie booth can be booked as a separate unit or why not create a package and add it to another booth such as our magic mirror or oval booth. We offer great discounts for package deals.